The day to leave Los Angeles is here and I cannot say I have any positive feeling about it. I am nervous, scared, anxious, sad and every other feeling I could possibly imagine. I have packed my one bedroom apartment into a moveable pod and I am headed back for some family time in the Midwest as well as a nice five-day detour along the way in Denver that my best friend, Toya, will be joining me on. Thank God for her because that drive actually flew by. Toya even took the time to make a lapse video of our drive and posted it to YouTube. I would caution those with motion sickness to watch it, but those who do not have an issue with motion sickness the transition between California, Arizona, Utah and Colorado is quite beautiful. After this whole adventure I have been on these past couple of months, that couldn’t be any more accurate. 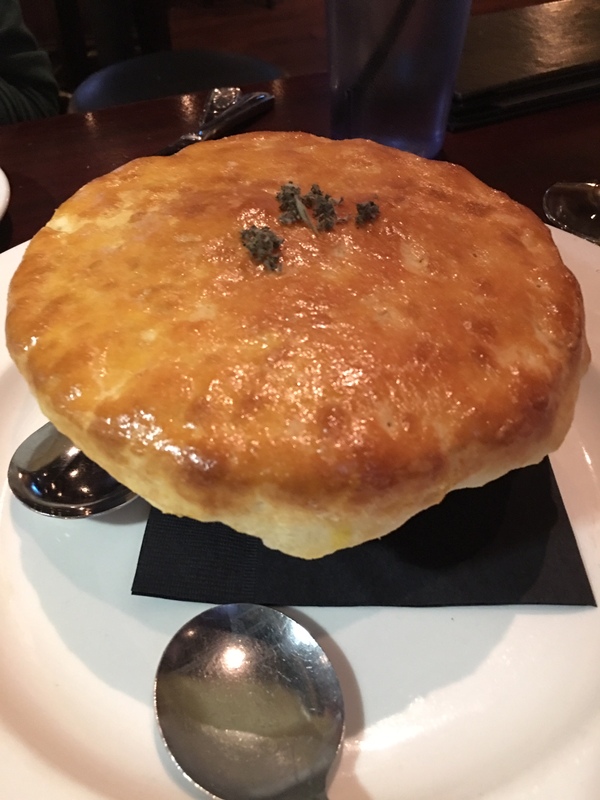 As we make our way around the city we have comfort food for days such as, homemade chicken potpie with a biscuit crust, bison pretzel sandwich with herb aioli, sushi and ramen, cheese and meat plates, and the infamous donut shop. 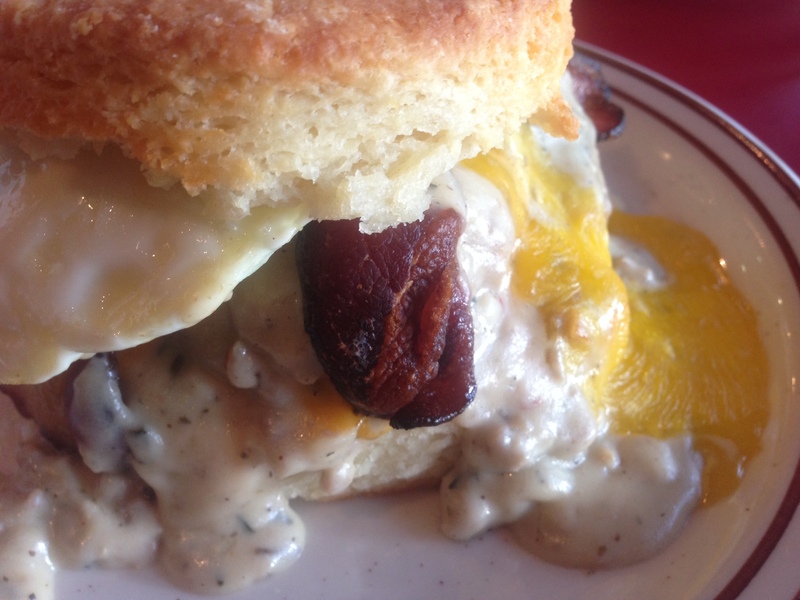 In my opinion the highlight and where everyone needs to stop is going to be the Denver Biscuit Company. I have never seen a concept of restaurant like this and I am definitely not mad that we made this a part of our trip. 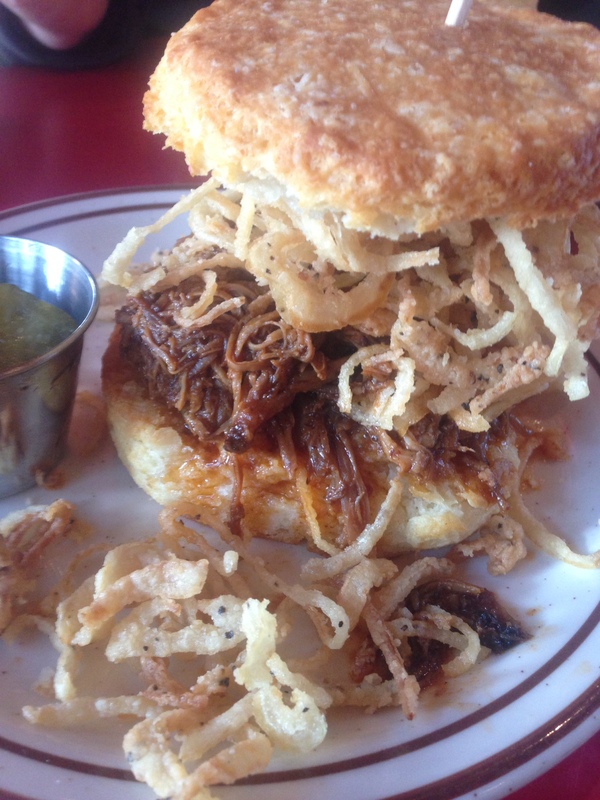 I opted for the biscuit with pulled pork and crispy shoestring onions while Toya opted for the fried egg, bacon and sausage gravy biscuit. Both of which were beyond incredible. 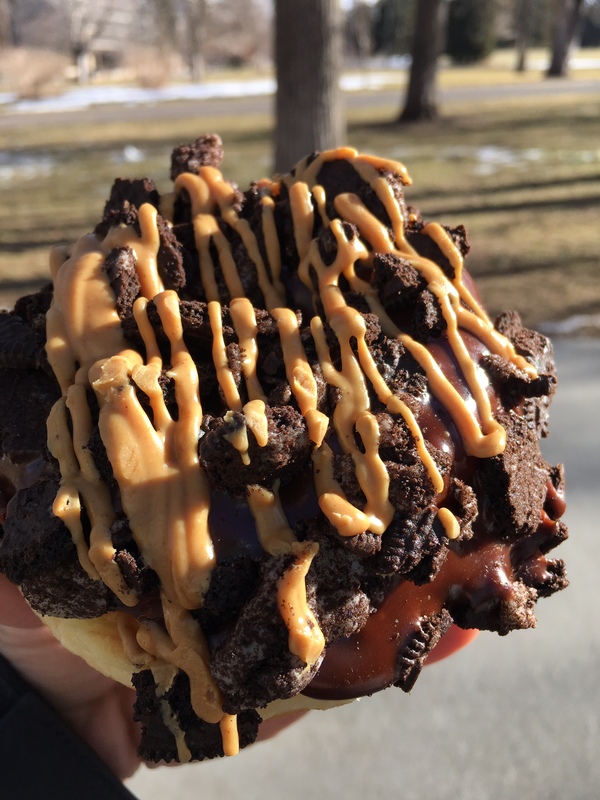 I would definitely put this on my list of places to go next time I am in Denver. 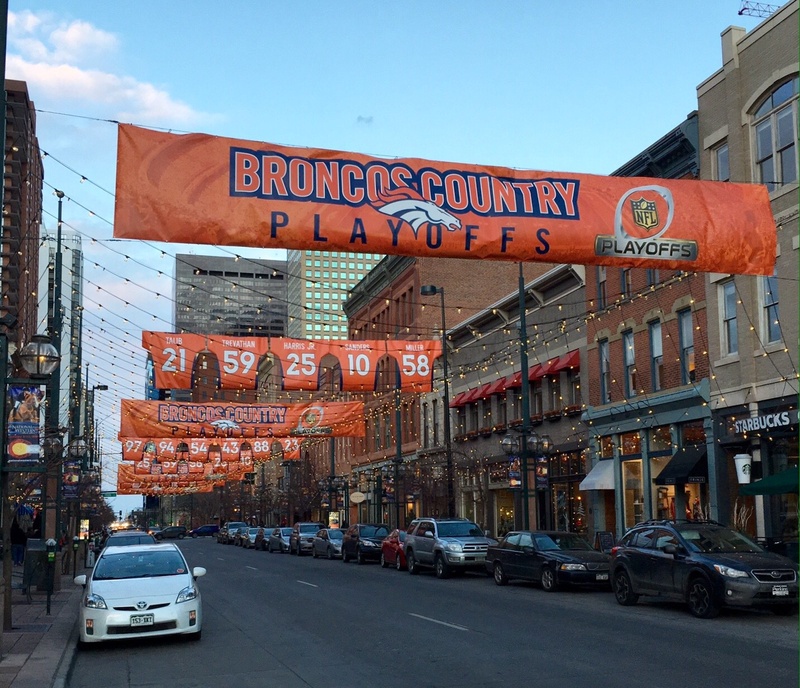 This trip took place in January and fortunately for us this trip was while the Denver Broncos were in the playoffs (and yes they ended up winning the Super Bowl this year) so the city was decked out in blue and orange at every turn. Another fun thing we decided to do was rent out the B-Cycles. 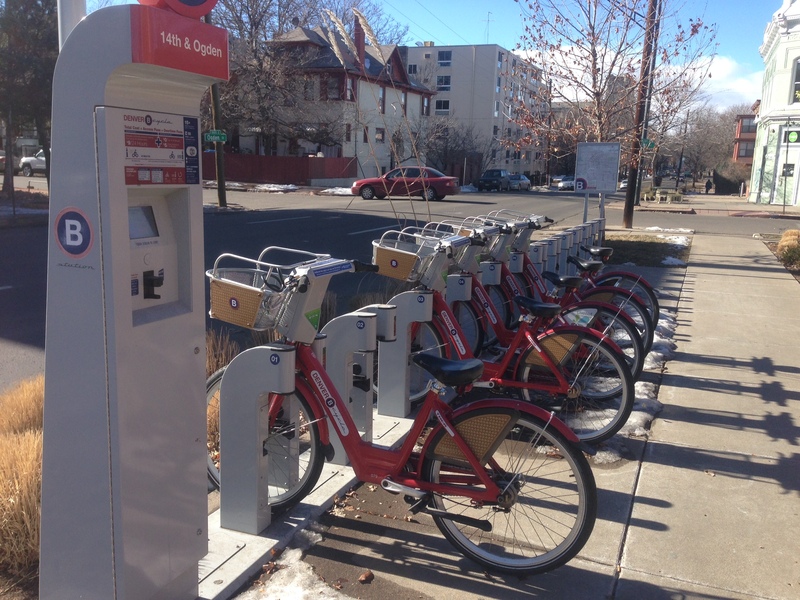 The B-Cycle is a bike sharing program that is popping up in cities all around the country. Our first day was extremely unsuccessful as the winds were so bad we were being completely blown over and almost thrown into cars so at that point we had to call it quits. However, the next day the B-Cycle was our main form of transportation to the Denver Biscuit Company and riding around a couple of parks. Was it warm? No. Was it fun? Absolutely. 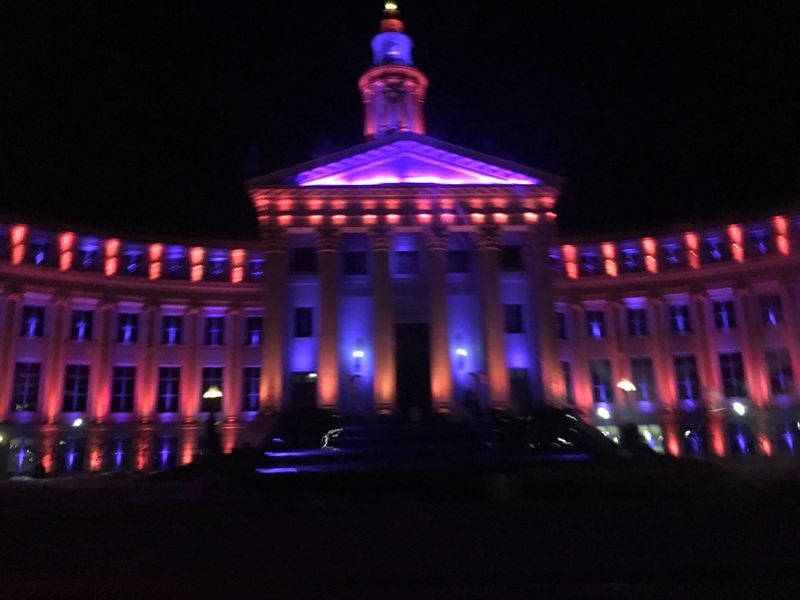 All in all my overall feeling of Denver was I really liked Denver! I definitely appreciate all the eats and drinks the city has to offer, but onward march to the next destination. Next Stop – Chicago, Illinois. 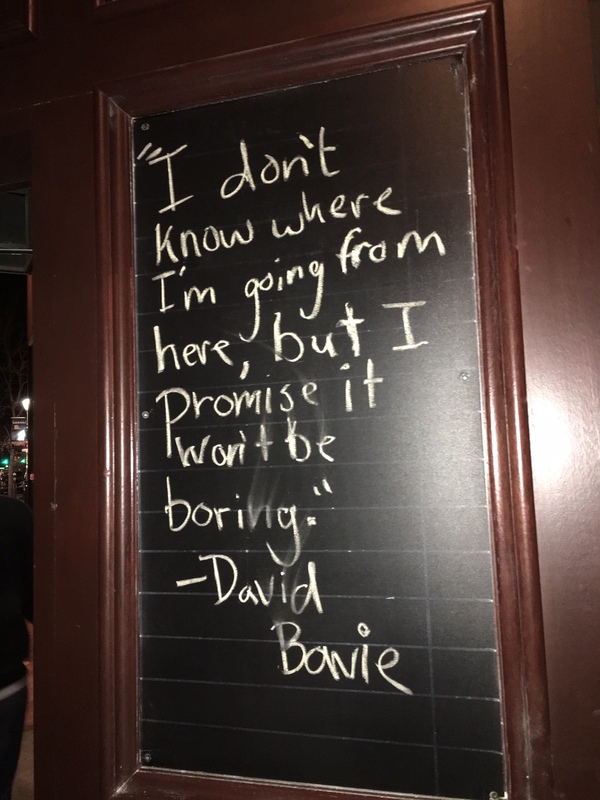 Previous Previous post: Published Online Writing… Say What?